The new, Oct. 31 cutoff date averts a precipitous and potentially calamitous Brexit that had been scheduled for Friday. 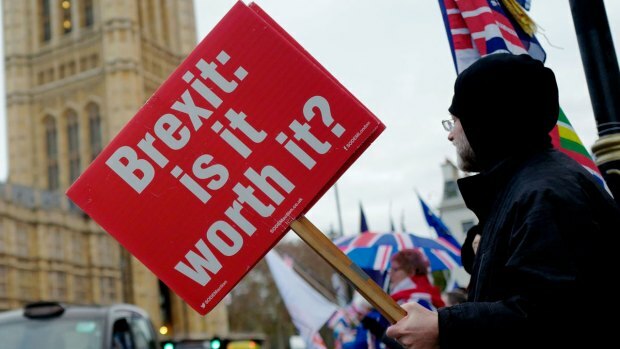 Economists and business leaders have warned that a no-deal Brexit would lead to huge disruptions in trade and travel, with tariffs and customs checks causing gridlock at British ports and possible shortages of goods. A disorderly Brexit would hurt EU nations, as well as Britain, and all want to avoid it — but there's little agreement about how. May's future, meanwhile, is uncertain. 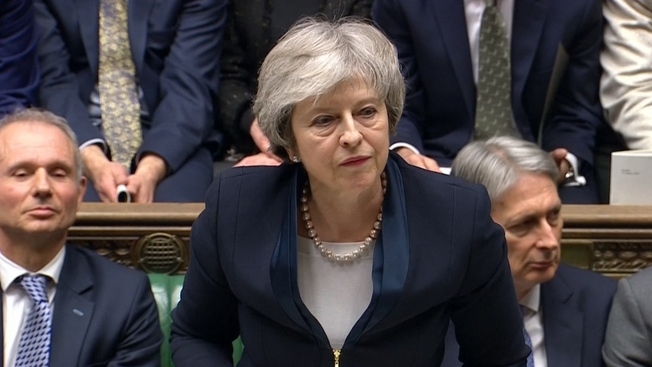 She has previously said that "as prime minister" she could not agree to let Britain stay in the EU beyond June 30, and she has also promised to step down once Brexit is delivered. Many Conservative Party lawmakers would like her to quit now and let a new leader take charge of the next stage of Brexit. But they can't force her out until the end of the year, after she survived a no-confidence vote in December. Every British initiative to get a deal has floundered so far. Several days of talks between May's Conservative government and the main opposition Labour Party aimed at finding a compromise have failed to produce a breakthrough. Labour favors a softer Brexit than the government has proposed, and wants to retain a close economic relationship with the bloc. The two sides said they would resume their discussions Thursday. Now, the battle begins in Britain over what to do with the extra time. All options from a no-deal Brexit to a general election to no Brexit at all remain on the table. Pro-EU politicians said the next few months should be used to hold a new referendum on whether to leave the EU or remain. Labour lawmaker Mary Creagh tweeted that Parliament must move swiftly to break the Brexit deadlock with a confirmatory ballot on PMs deal." Pro-Brexit lawmakers said it was time to replace May with another Conservative leader — preferably a hard-core Brexiteer. Associated Press writers Mike Corder, Angela Charlton and Sylvie Corbet contributed to this report.